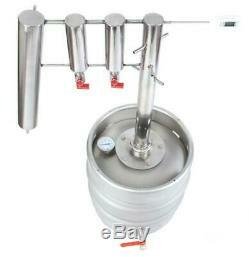 Professional stainless steel distiller with 30L boiler on gas with wide opening. Professionally manufactured pot still made of highest quality acid resistant stainless steel. This is a complete kit capable of producing the highest quality distillate up to 75-95% vol. This kit is incredibly easy to use and is designed for domestic use. The presented set will perfectly work first and foremost in the distillation of the flavoured distillates. One can prepare slivovitz, gin and even whisky. This equipment is reliable and extremely productive. It is a completely safe construction. Its assembling and disassembling lasts for a few minutes. Cooler made of 3m spiral. 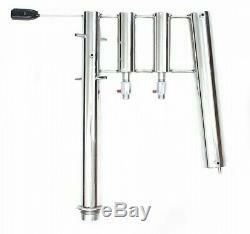 Clarifiers collects liquids which worsen the taste and the smell. During the distillation they should be closed. After completing process of distillation you need to drain the content of them. Without any additional manufacturing smells. In the clean, quick and comfortable manner. Distiller water-cooled (hose and hose connector included). You can connect a cooling water with one movement thanks to applying a quick coupling. Discover Yourself and check-up what You can make. The set is ready to use just after its unboxing, assembling and filing. Please, feel invited to check the distillers on the boilers with the various volumes and the other columns on other our auctions. 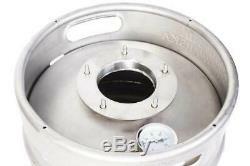 The height of the boiler 50 cm the height of the column 50 cm the total height 90 cm. The diameter of the main column 48,3 cm spiral made of 3 m tube fi8. 30l boiler with wide opening. PVC hose for cooling water. Digital thermometer at the top of the column. (Bottle not included, just for scale). We are an importer and producer. We accept all major Credit/Debit Cards. You can also pay with bank transfer in EUR, GBP, USD. We provide invoices with VAT separately displayed, for companies with EU VAT active number we can offer invoice with 0% VAT. All packages are very well protected. The products are packed in a way that prevents the identification of content. We send to all countries of the world! We are legal company with over 10 years of experience in processing of stainless steel. 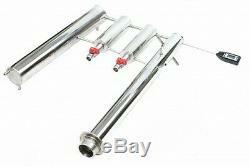 We specialize in the production of distillation equipment made of stainless steel. The devices that we propose are an excellent and modern product. We offer professional advice as well as very nice service. We invite you to cooperation! Express your opinion about our products! 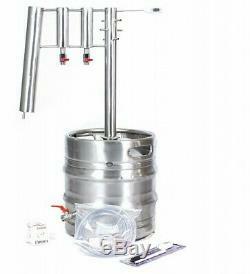 The item "DISTILLER 30 L -large inlet- stainless steel STILL moonshine brew copper alcohol" is in sale since Thursday, January 29, 2015. 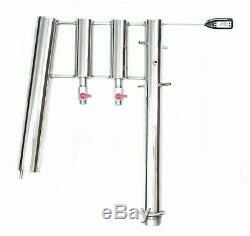 This item is in the category "Home, Furniture & DIY\Food & Drink\Beer & Wine Making". 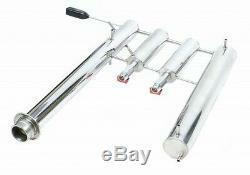 The seller is "prostilleurope" and is located in Lódz. This item can be shipped worldwide.